When it comes to the movie business, USC School of Cinematic Arts Professor Jason E. Squire literally wrote the book. Having made his mark in American film, for the past five years he has made it his business to know China’s movie business. 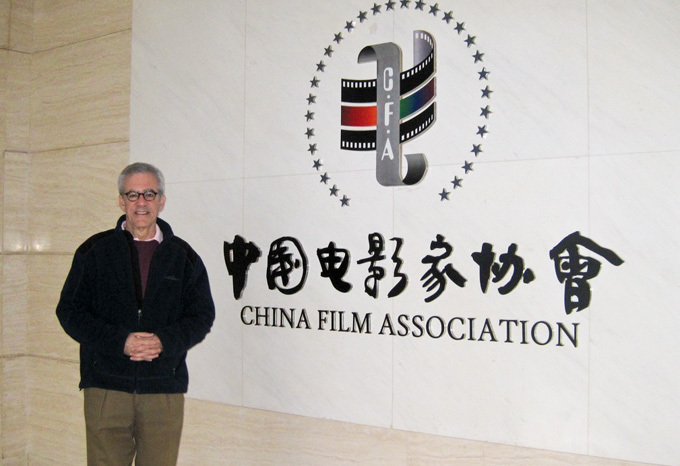 Over Spring Break, he traveled to Asia for a fifth time to teach in the Cultural & Creative Industry Management Program at Beijing’s Cheung Kong Graduate School of Business. In his second presentation, to the alumni association, Squire discussed "A Potential Web-Based Business Model for Digital Movies," which coincided with publication in Beijing of his scholarly article "An Introduction to DIY Movie Marketing and Distributing" in Film Art, the peer-reviewed academic journal of the China Film Association. His initial research on the subject was first presented at the annual UCLA/Bruce Mallen Scholars and Practitioners Conference and Workshop in Motion Picture Industry Studies, a gathering of global scholars in the field sponsored by UCLA Anderson School of Management’s Center for Managing Enterprises in Media, Entertainment and Sports (MEMES). Cheung Kong gave alumni participants copies of the Chinese edition of The Movie Business Book, translated by scholars at Beijing Film Academy and published last year by China Film Press.